Interview with Elizabeth C. Bunce: STARCROSSED - The Enchanted Inkpot. How lucky am I to get to talk to another Inkpot author this week, on the publication of their newest book? (Very lucky is the answer, in case you're wondering.) Enchanted Inkpot's own Elizabeth Bunce, whose first book, A CURSE AS DARK AS GOLD was published to wild acclaim and won the Morris Award has a new book out this month, STARCROSSED, which I have had the dinstinct pleasure of reading. Trust me, you are in for a MAJOR treat! 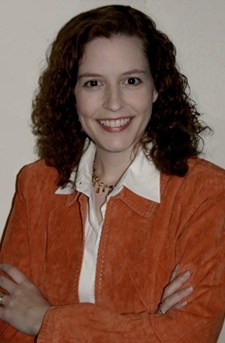 RL: While your work is wholly your own, it has also been favorably compared to both Robin McKinley and Tamora Pierce. ::swoon:: How do you feel about that comparison? EB: Honored, of course! I grew up on their books--Alanna and Aeryn were huge inspirations to me, and I definitely hope my work appeals to their fans and readers, as well. I still read Beauty almost every year, and it's thrilling to think that some young (or youngish) reader might someday consider A Curse Dark as Gold or StarCrossed her favorite book. It also makes me really excited about what's to come. They're producing some of the best work of their careers (Beka Cooper: Terrier blew me away), and I hope I have the staying power to still be writing when my early fans have grown up, too! RL: What was the story seed from which StarCrossed sprang? What was the biggest way in which the story surprised you? EB: I had actually been working with the world of StarCrossed for years and years and, well, years. Technically decades. Ahem. I had sort of reached the stage in my writing life where I figured I wasn't ever going to come back to those earliest novel efforts. However, after sending off A Curse Dark as Gold to my agent and publisher, I wanted to switch gears a little bit, and work on something that wasn't quite so dark and weighty. As it happened, National Novel Writing Month (NaNoWriMo) was just around the corner, and several members of my critique group were participating. So I gave it a try, too. I went back to that original fantasy world of mine, because it was already firmly established in my head, and pulled characters from a novella I'd started years before. Once I actually started writing Digger as a teen character, she came brilliantly to life for me, and I realized she was going to be much more than just a NaNoWriMo one-off. RL: A religious civil war is at the heart of the plot of StarCrossed. Can you talk about how or why that came to be central to your story? EB: I'm interested in the interplay of faith and politics, and how honest religious devotion can be twisted by earthly desires for power and control. This story was definitely fed by my passion for mythology and, I suppose, my own conflicted feelings for the church I grew up in (which was NOTHING like Werne's church! ), particularly its history and current policies. What also drew me to this storyline was a desire to revisit the world of Llyvraneth centuries after a great religious upheaval, and see how the society had changed from those early stories I'd written, to Digger's era. RL: As the layers of StarCrossed are expertly peeled away, we come to learn some very interesting things about Digger and yet the core of who she is never changes. I love that about her. I also loved Digger’s journey from self-preservation and apathy to full engagement. Can you talk a little bit about that? EB: To me, these stories are about Digger's development of a moral compass, in a world where there is no solid moral authority. When the Church and the King are corrupt and your society is gripped by fear and suspicion, where do you turn to learn right from wrong? Digger doesn't have that guidance, which is one reason she ends up as a thief for hire. I remember my editor once asking if Digger had any inherent sense of right and wrong: if she saw a baby lying in the snow, would she just leave it there, or would she pick it up and hand it off to somebody else at the first opportunity? I thought that was brilliant, and really helped crystallize Digger's character for me (she would do the latter, of course!). Digger is basically good, she just needs the opportunity to prove it to herself. The ethical dilemmas she faces are going to become harder as the series progresses; it won't always be so easy to tell the good guys from the bad guys. And I love that growing complexity; I think it's something young readers will respond to especially. RL: While Digger might not have much skill with a needle, I know you are an expert seamstress. How does this inform your work? EB: Well first, let's get one thing clear: I am NOT an expert seamstress! [Editorial note: clearly the woman is less than truthful! Look at that gown!] I am learning, and so far my ambitions far exceed my abilities, and I occasionally despair that I might never get as good as I want to be (I started sewing in my thirties and wish I'd begun decades ago!). But I've been doing various other forms of needlework since I was five, and one of the things that always drove me crazy about fantasy starring girls was that Hating Needlework seemed to be an absolute prerequisite for a fantasy heroine! I can't even count the stories where the girl's "adventure-worthiness" was demonstrated by an attitude of "sewing is such a waste of time," as if all traditionally feminine pursuits, by extension, had no value. I disagree with this wholeheartedly, and I have to admit that it is a conscious goal of mine to show my strong heroines practicing some of these skills. There are lots of forms of heroism, and I hate the message that girls have to act like/look like/pretend to be boys to be brave and strong. This is one of the reasons I was so proud to have Curse chosen by the Amelia Bloomer Project, which honors the best feminist books for young people. When you look at other nominees from the same year (like Graceling), it seems a surprising selection, but I love the message that a girl who wears a corset and thinks about cloth and wants to be a wife and mother and gives everything to her family can be just as feminist as a girl with a sword. EB: Why not?! I've always felt Earth was a little shortchanged in the moon department. Our solar system has more than 150 moons (depending on how you count them), but we only got one. I was really intrigued by the potential cultural richness that multiple satellites might engender, how a society might develop in a world with so many lights in the night sky. And I've always just liked the number seven; it has a long tradition of sacredness that seems to be imprinted on some cultural memory somewhere deep in my brain. When I began parceling out the duties and responsibilities of the gods, six roles evolved very naturally (Life, Death, Magic, Labor, Art, and War/Hunting), with the seventh god/moon (who came later) picking up the slack left behind in the gods' wake and becoming the patron of divine justice, kind of like the Greek goddess Nemesis. RL: The pantheon of gods and goddesses you created for this world were fascinating. Did you draw on any particular mythology for those? It seemed to me I saw echoes of a number of mythologies in them. EB: Whoops! I rather started answering that one early, didn't I? What inspired the multiple gods of Llyvraneth was my curiosity about how a polytheistic religion would work in a Renaissance setting. And I think they feel familiar because there are so many similarities among Earth religions, like the parallels of the Virgin Mary and the Egyptian goddess Isis. There are certain fundamentals central to all peoples (the vagaries of the weather, the protection of mothers, etc), so it stands to reason many cultures have gods representing parallel elements. I definitely drew from research on real human traditions to develop the religious practices for Digger's world, but the gods themselves grew into unique characters in their own rights, which is how the god of wine and the arts also becomes the patron of thieves! RL: Your names for both your characters and your world were very unique, but not so much so that they tripped the reader. How did you go about choosing all those terrific names? EB: About half those names are the fancies of a teenage fantasy writer that became so firmly stuck in her mind that they brooked no changes throughout the years! However, as an adult fantasy reader easily annoyed by wild names fraught with apostrophes and awkward combinations of consonants, my concern is that my proper names are easy for the audience to recognize, remember, and work out pronunciations for (even if those don't necessarily match my own!). Sometimes, however, the Perfect Name sneaks in and you can't do anything about it, unpronounceable or not (hence, Phandre). I have a fleeting background in linguistics (I trained to be an anthropologist), so I've always been interested in keeping a sort of cultural consistency with the names: they should all sound vaguely familiar or realistic; like they belong to the same world; and are subject to some conventions (hence Bardolph and his nephew Wierolf). RL: Can you talk a little about your writing process? Do you fly into the mist or create some sort of outline? Do you polish as you go or are you a multi-drafter? EB: Um, yes...? My writing process is constantly evolving, depending on the needs of the current project (and that includes both narrative needs, as well as outside influences like deadlines). I like having a plan, which is probably the reason so many of my early works have been retellings, but I'm definitely open to watching the story take shape on the page (er, screen). A Curse Dark as Gold was polished and burnished and tweaked and shellacked as I wrote it, but my last two books (StarCrossed and its sequel Liar's Moon) have not had the benefit of endless time in which to develop, so they have been much more draft-based. I am actually looking forward to writing something where I'm not on a deadline sometime, to see what my "natural" writing process actually is (if I even have one anymore!). RL: How hard was it to layer in the clues and hints of the political intrigue? What tricks did you use to keep track of what you’d revealed when? EB: I have this amazing resource for keeping everything clear called Cheryl Klein, senior editor at Arthur A. Levine Books. I think every author ought to have one! Seriously, though, StarCrossed has a fairly complex plot, with multiple intertwining mysteries that Digger must sort out. Whenever I couldn't keep everything straight in my head, I would make diagrams (really just lists with arrows) showing how the mysteries and Digger's discoveries worked together, and "who knew what when." The important thing was pacing the revelations so they'd occur as a result of Digger's digging, but also at the correct moment for Digger's emotional development. When I'm composing, I often write scenes totally out of order (instead of straight through from beginning to end), so putting those scenes in their proper sequence is a critical part of the revision process. My editor uses chapter-by-chapter outlines, which I love, because they serve as a map of precisely what needs to go where, as well as a handy checklist for what I'm working on on any given day. 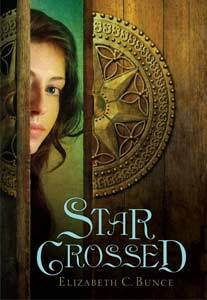 RL: Since I am a self confessed research geek, I am dying to know what sorts of research you did for Star Crossed. Were there any sites, sources, or books that were especially helpful to you? EB: I, too, am a research geek, and one of these days I'm going to pick your brain for ancient Egypt tips! 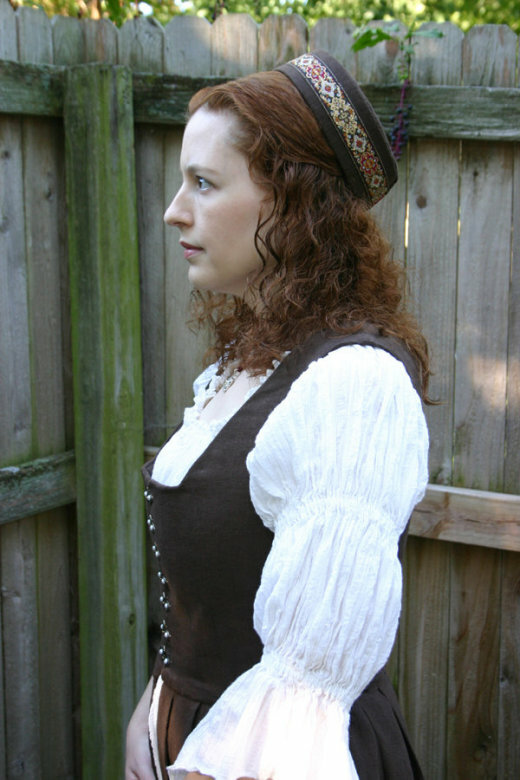 I actually have a whole page on my website devoted to some of the research I've done for my novels: http://www.elizabethcbunce.com/resources.html Some of my favorite sites are there, particularly links to information about moons, as well as resources about Renaissance-era books. Some of the research that didn't make it to the website included learning about period firearms and artillery, castle life, and information about Earth's real Inquisition, but the Resources page also has links to brief bibliographies, where you can check my sources for those subjects, as well. Oh, and also avalanches. Did you know there was an avalanche in the 18th century where survivors were trapped beneath the snow for more than a month (a record!) before the spring thaw allowed them to escape? They were in a barn when it happened, which protected them from the crushing snow and provided food--Sorry, what was the question again? RL: On your website it says that you’ve always been a writer. What were some of your writing jobs before turning to YA fantasy? EB: I put myself through college with various writing and editorial positions: a staff writer and editorial assistant for a state historical magazine, an editorial assistant for an anthropology professor who wrote textbooks (and was working on an annotated new edition of Arthur Wallace's The Malay Archipelago. I had the fascinating job of correcting the scanned manuscript files, and I collected the Latin names of more Asian butterflies than you can shake a stick at. ), and a gig as a technical writer for the university's purchasing department, drafting software manuals. I liked that work, but those jobs dried up after college, because my degree was in English, not journalism; and it was largely my inability to get honest work doing technical writing that led me to write fiction full-time, much earlier than I ever intended. I'm glad I did; I don't think I realized how very slowly I actually work! It took me almost exactly ten years to sell my first novel. RL: Do you find you have themes in your work that you are drawn to time and again? What are they and why do you think those call to you? EB: Yes, and I don't quite know why. My first four books (if you count the first novel I ever completed, which is resting quietly in a drawer in my office) have all had strong themes of family. If you had asked me beforehand what themes I was interested in, I don't know that that would have been on my list. But for whatever reason, my characters' journeys so far have all come back to what "family" means, what members of a family owe each other, and how your understanding of your own family changes as you grow up and realize that they're not just your relatives, they're people, with their own needs and faults and personalities. I think this is one of the fundamental themes of adolescence, actually: this realization of yourself as an individual separate from your family and your parents, and vice versa. I certainly remember it being central to my own growing up, at least; perhaps that's why it continues to resonate for me as I write my young characters. RL: What is something your readers would be surprised to know about you? EB: As crafty and creative as I am, and as much as I enjoy Making Stuff, I hate to cook. My oven was once broken for six weeks and I didn't realize it! And I hardly eat. But I watch a ton of Food Network and I have a ridiculous knowledge of practical cooking terminology, as well as an impressive--if theoretical--understanding of culinary theory. It's... weird. Thanks so much for answering all my questions, Elizabeth! And really, for any of you dying for a delicious new read, I heartily suggest you get thee to a bookstore and pick up a copy of STARCROSSED immdiately. I whole-heartedly agree on the needlework thing. My mom taught me to knit when I was five and I've been doing some sort of needlework or other almost continuously since then. I'm really, really excited to read this book. You won't be disappointed! I lost two whole days to STARCROSSED, and it was time well spent! Lovely interview! I really liked A Curse Dark As Gold and I can't wait to dig into Starcrossed! I can't wait to read Star Crossed. I've heard such good things about it. And I met Cheryl Klein, Elizabeth's editor. I would so love to have her as an editor. Elizabeth, it sounds like you've put a lot of research into your book. I'm going to check out your resource page. Good luck with your books. Cheryl does sound like an incredible resource, doesn't she?? And I had a lot of fun poking around Elizabeth's resource page. Lots of great stuff there. Elizabeth and Robin - I just LOVED this interview. So much fun to hear Elizabeth's writing process and all the intriguing research that goes into her stories. (Plus I laughed out loud at the idea of every author needing a Cheryl Klein to keep them organized - wouldn't that be nice?!) And STARCROSSED sounds like my favorite kind of read! I'm hooked! Off to go order a copy right now! Could I love this interview more? When can the three of us all sit down in one place, with tea, and talk like this??? Re: Could I love this interview more? Oh! Oh! I'm totally up for that! Can we do it in Greece or Scotland? Really? Are you joking? My next big trip is to Greece (for research AND for awesome)...is this a come one, come all thing that I can invite myself to? I'm good company, I promise! And wow, what a great interview! I want everyone to always answer such interesting questions with such thoughtful and detailed answers. Super fun to read--thanks, Robin & Elizabeth! I think my absolute favorite part of this interview is Elizabeth makes the point that being brave and strong does not mean that one cannot enjoy traditionally feminine pursuits. I wholeheartedly agree! This makes me even more excited to read Starcrossed and I was already pretty eager after enjoying A Curse Dark as Gold. Yes! I agree that they are not mutually exclusive and it's nice to have that acknowledged. YES, THANK YOU for the comment about sewing! I've gotten frustrated so many times when a female character disdains sewing and/or cooking (side note: no love for knitting or crochet in these books?) because it's a traditional female role. Um, yeah, you're an idiot, they're skills that ev-re-bod-y needs to know in life! I get really worried that the books are (unconsciously) promoting a biased view of feminism, that anything female is bad (which would mean you need to be more like a guy to survive and that sounds oddly not feminist at all). Sorry for the small rant but I'm so glad that I'm not the only person thinking this! Small polite rants like that are most welcome! Glad the interview touched on something you're passionate about. I'm glad *I'm* not the only person thinking this! (Um, sorry about the cooking thing.) And I have "someday plans" for a story that involves knitting and the Ancient Near East, so we'll see if we can get some other needles some lovin', too. I just threw in the cooking since I see it pop up about as often as the sewing, a bit unrelated but it seemed to fit in the same general idea. And I love the idea of both knitting and the Near East getting more exposure in fiction, hope that those plans come to fruit someday! Great interview! I love the point about the sewing-hating heroines in fantasy (apparently I am not alone in this!). And that question about the baby in the snow is fantastic. But I've been doing various other forms of needlework since I was five, and one of the things that always drove me crazy about fantasy starring girls was that Hating Needlework seemed to be an absolute prerequisite for a fantasy heroine! I can't even count the stories where the girl's "adventure-worthiness" was demonstrated by an attitude of "sewing is such a waste of time," as if all traditionally feminine pursuits, by extension, had no value. I disagree with this wholeheartedly, and I have to admit that it is a conscious goal of mine to show my strong heroines practicing some of these skills.